Hermann, R.L. Health Law: Career opportunities in a fast-changing environment. Delaware: H Watson Consulting LLC, 2017. Describes typical health law employers, how to get into the field, and the type of issues health lawyers may face. Singer, Lawrence et al. Careers in health law. Chicago: American Bar Association, 2014. Offers advice on how to prepare and apply for jobs in health law, as well as where to look for health law jobs. Includes job listings, podcasts on health law careers, and information on a mentor program. This site provides listings of job opportunities for health lawyers. CMS offers assignments with the federal government. The site also provides a list of current openings, special programs that hire students, and a monthly newsletter. The HHS website provides information about careers with the Health and Human Services Department. American Health Lawyers Association, Careers in Health Law and Life Sciences (will open a PDF). Brochure describing the type of work a health lawyer does as well as the types or organizations a health lawyer might work for. Includes a FAQ section and helpful web links at the end. Briefly describes what is involved in the health law field and what the major present-day issues are. Also has quotes from practitioners describing the type of work they normally do. Green, Shannon, "Adversity breeds character: The new health care law presented WellPoint with one of its biggest challenges ever", 18(6) Corporate Counsel 74 (June 2011). Describes the structure of Wellpoint's in-house legal department, some of the situations in-house attorneys have to deal with, and how the chief counsel prepared to testify before Congress on Wellpoint's actions. Lexis ID+password required. "Health Law: PDJD Career Guide", PSJD: Your Pathway to Public Service Legal Careers. Describes the legal fields a health law attorney might deal with, as well as the types of organizations they might work for and what to do in law school to help develop a career in the field. Includes useful web links. Hechler, David, "They Aced the Stress Test: The financial meltdown gave The Hartford's lawyers a chance to prove their worth", 16(6) Corporate Counsel 62 (June 2009). In-house attorneys from The Hartford Financial Services Group discuss their work. The article also describes a time when the in-house lawyers had to assemble a deal in four days. Available on Lexis. Law School Transparency, "Public Health Policy A Career Path for Attorneys", USNews.com (Dec. 10, 2015). Podcast. Interview with Johanna Barde, who worked as assistant general counsel for the Tennessee Department of Health. Ms. Barde describes her experiences. McEvoy, Meg, "Nashville is Hot for Health Lawyers", Bloomberg Law Big Law Business (May 3, 2018). 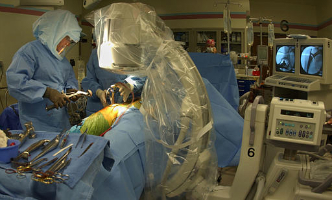 Lists the firms used by some of Nashville's largest health-care entities. Also describes some of the transactional health care legal work that goes on in the city. Network for Public Health Law, Career Paths in Public Health Law (2012?). Guide describing various types of career opportunities available in the field of public health law; also lists the type of courses a law student may want to take to prepare for a career in the field. Pattanayak, Catherine, et al. "Health Law: A Career Guide", Harvard Law School (2012). Thorough guide describing the type of work and possible settings attorneys dealing with health law may encounter. Taylor, Steven T., "Health care lawyers stay busy and expect even heavier workloads in the future", 30(7) Of Counsel 1 (July 2011). Discusses some of the reasons why lawyers in the health care field will be in high demand in the future, such as the new health care reform legislation. The following organizations are active or maintain an interest in health care law. They offer membership opportunities, information on the industry, and possible employment opportunities. Most of them sponsor seminars or conferences on relevant topics. For American Psychiatric Association members. Seeks to exchange ideas and experience in those areas where psychiatry and the law overlap. Nurse attorneys, attorneys in nursing school, nurses in law school; aims to improve the profession and to inform the public on matters of nursing, health care, and the law. Membership includes ability to join TAANA's attorney referral program and a chance to participate in TAANA's biennial group admission to the U.S. Supreme Court Bar. Persons who hold degrees in medicine, dentistry, law and nursing. Promotes and advances the field of legal medicine or medical jurisprudence; arranges for meetings with medical, legal, and professional groups and legislative, judicial, and enforcement bodies interested in any province where law and medicine are contiguous; fosters and encourages centers for study and research in the field of legal medicine and publishes materials pertaining to legal medicine. Attorneys who represent or are employees of hospitals or other health organizations. Works to disseminate information on health care law and legislation; keep members abreast of court decisions in the health care field; conduct legal seminars and institutes. Physicians, attorneys, health care management executives, nurses, insurance company personnel, members of the judiciary, and others interested in medicolegal relations, health law, and ethics. Purpose is to provide opportunities for continuing education through publications, conferences, and information clearinghouse. Website has job bank for members. Pharmacists, lawyers, and students. Purposes are to: further legal knowledge; communicate accurate legal information to pharmacists; foster knowledge and education pertaining to the rights and duties of pharmacists; distribute information of interest to members; provide a forum for exchange of information pertaining to pharmacy law. State commissioners in charge of the state mental disability programs; associate members are assistant commissioners for children and youth research aged legal services forensic services human resource development and community programs. Promotes cooperation of state government agencies in delivery of services to mentally disabled persons; fosters the exchange of scientific and programmatic information in the administration of public mental health programs including mental illness treatment programs community and hospital care of mentally ill mentally retarded alcoholic and drug addicted persons. Monitors state and federal and congressional activities; gathers and analyzes information on organization structure funding and programming of state government mental health programs. A cooperating agency of the National Governors' Association and the Council of State Governments. Attorneys, health specialists and other interested persons. Provides assistance to legal services program attorneys and their clients in matters involving health problems of the poor. Offers information referral and consultation on litigation strategy. Prepares materials for and conducts training sessions for and with field program attorneys and paralegals. Coordinates testimony for particular hearings. Maintains health law and policy library. An organization intended to help connect practitioners, attorneys, government officials, and advocates in order to help achieve public health goals. Has a student network designed to help students interested in practicing in public health law.